Known to my clients and students as “Dr. 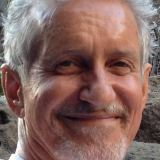 Bob,” I have committed the past 30 years of my professional life to providing counseling and life coaching to individuals, along with teaching and training graduate-level mental health providers at several southern California universities. I hold a Ph.D. in Clinical Psychology and a Masters of Arts in Religious Studies from Fuller Graduate School of Psychology, Pasadena. Over my professional career, I have provided tens of thousands of hours of counseling and life coaching to clients. One area of career-long passion for me centers around holistic approaches to counseling and life coaching—where the entire spectrum of human experience, from body to mind to soul and spirit, is drawn upon for its resources and nourishing contributions to healthful living. Related to this area of career interest and expertise, I have published numerous articles in a broad cross-section of professional books, journals, and edited volumes. Along with my vocational pursuits, I have maintained an active, lifelong involvement in music; including performing locally as a jazz, rock, and ethnic drummer and percussionist. Related to this artistic passion, I have regularly applied my having studied popular and ethnic drumming for nearly fifty years by performing and lecturing widely, to both professional and general public audiences, on the connection between musical creativity, personal spiritual development, and emotional well-being.